The holiday season is now beginning… is your business ready? With smart holiday marketing, you can get a piece of the billions of dollars being spent this season. Now is the time to start planning your holiday promotions so you don’t get left behind. But, we get it… it’s a busy time of year and you don’t have time to design all new holiday campaigns from scratch. 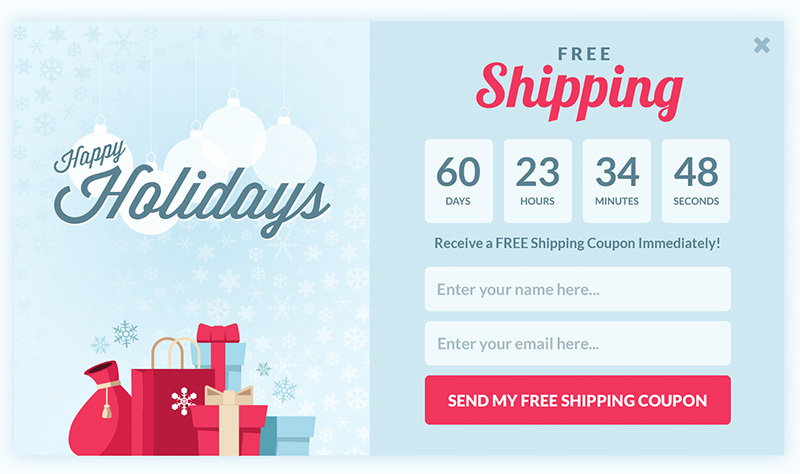 That’s why we’re adding even more holiday templates for your OptinMonster campaigns! Now you can take advantage of the season without having to hire a designer or spend hours creating campaigns. All it takes is a few clicks to set up a new scheduled campaign or switch your theme. The optional countdown timer creates an even greater sense of urgency, prompting your visitors to take action NOW before they miss out. The timer can be set to a static countdown with a universal end date, or you can create “evergreen” countdowns customized to each visitor. We’ve seen OptinMonster users like LifterLMS use countdown timer campaigns to add thousands of dollars in revenue. You can also choose to enable Yes / No buttons: multi-step campaigns that are proven to boost conversions. 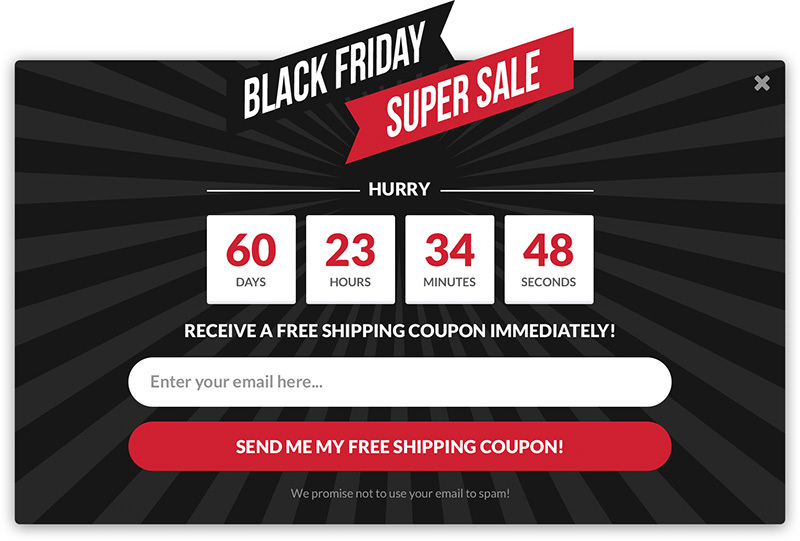 Now it’s easier than ever to boost your sales and conversions this holiday season! Want to give the new holiday theme collections a try? Click here to get started with OptinMonster today and see for yourself why it’s the best lead generation and conversion optimization software on the market.